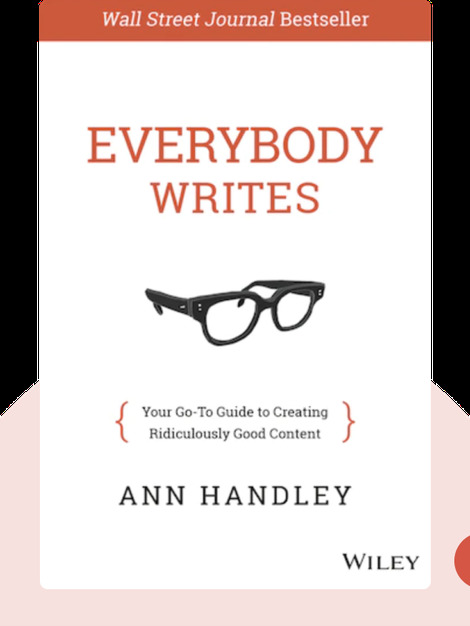 Everybody Writes (2014) gives you invaluable advice on how to create great content, from using correct grammar to crafting engaging posts, tweets and emails. With just a handful of simple rules, these blinks will help you gain a better understanding of how to use the right words to keep customers coming back for more. Cited in Forbes as the most-influential woman in social media, Ann Handley is a columnist for Entrepreneur magazine and the chief content officer of MarketingProfs. She is also the co-author of the bestselling book, Content Rules. 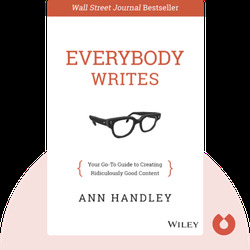 © [Ann Handley: Everybody Writes] copyright , John Wiley & Sons [Inc. or Ltd. as applicable] Used by permission of John Wiley & Sons [Inc. or Ltd. as applicable] and shall not be made available to any unauthorized third parties.